Phonics eStore is glad to present preparatory study material for MaRRS XPRESS MATH championship exams - buy Practice Workbooks at amazon now. You need to scroll down to reach same. Workbooks available at amazon are mentioned category wise. You need to select topic of interest and click on the colored box for it. You will immediately reach the workbook at amazon. The prices include shipping fee. We will be glad to be of any help to you - even a day before the exam day. 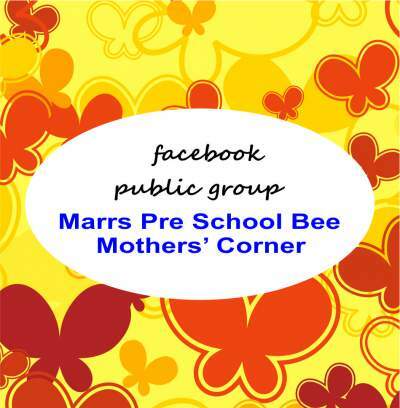 Marrs Pre School Bee - National : Behind "my success" is "my mother"
Please click on image / topic of interest to proceed to amazon. 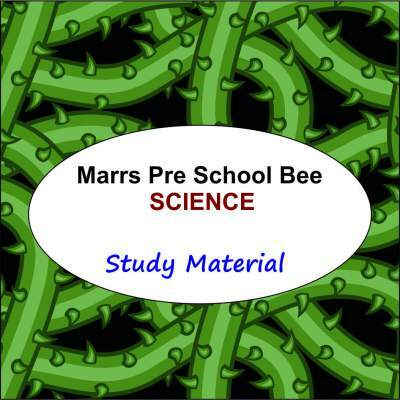 These preparatory workbooks are from Phonics eStore. Please click on topic of interest to proceed. Study material are available now for the ones in 'green' only. Keep visiting and stay updated on status of others. 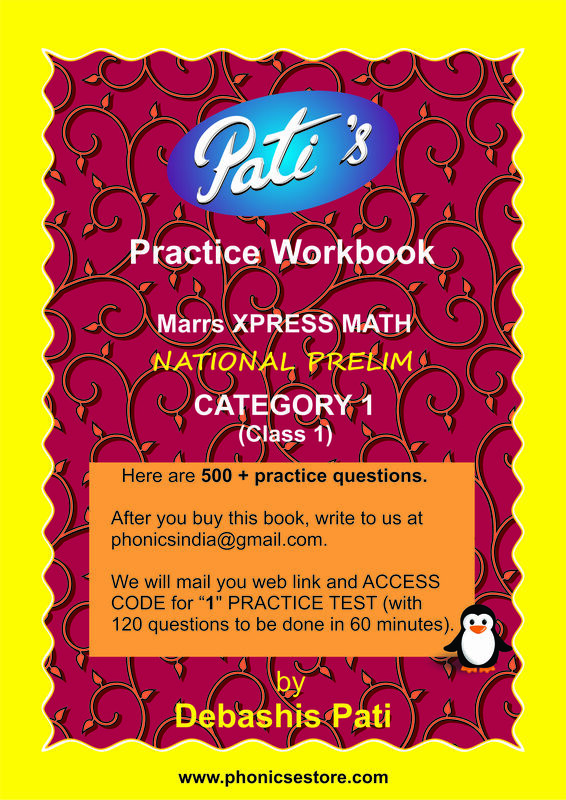 Study material as worksheets) are available on request only. 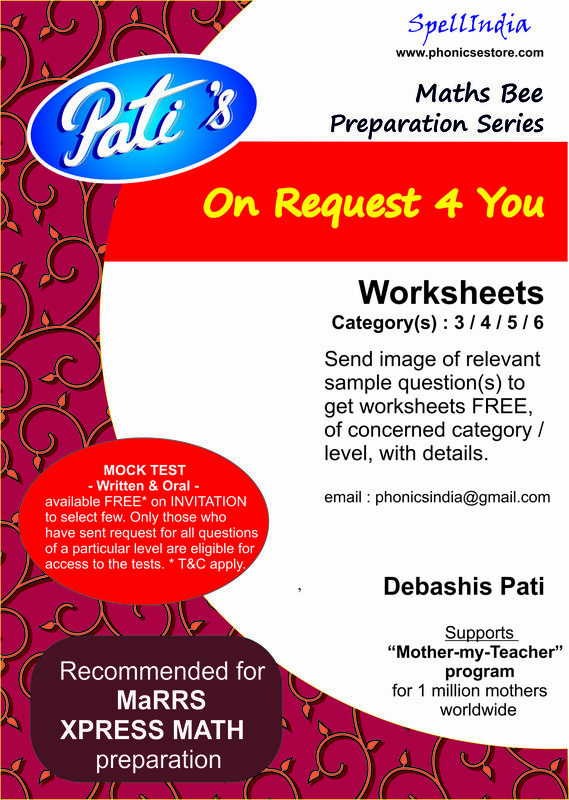 Send us sample questions for concerned category / level, and get worksheets free from us. This is available for "participating" students only. 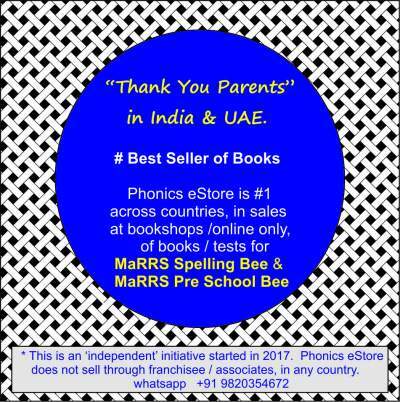 Acceptance of request(s) in part or full is at the sole discretion of Phonics eStore only. Reason for non acceptance (if at all) or associated communication will not be provided. When a parent is asked : "Why have you come here ... to collect study material?" We wish to answer for the parent, and make today's date 9th July, 2017 remembered. Answer to the question is "Yes, please". And to make such a 'Question-Answer' as well as the date memorable, we bring to you "Orientation Pool" wef 9th July, 2017. It's a first of its kind initiative, with parents in mind. 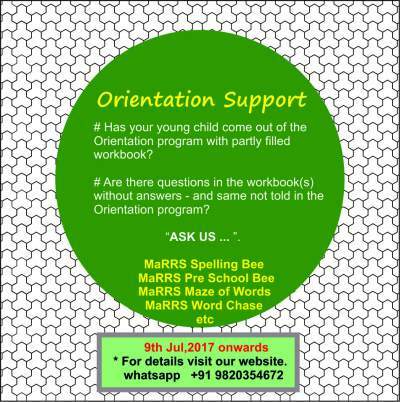 Hereafter, you as a parent, can be part of the 'Orientation Pool', with two options. Option 1 : Pay for Orientation .. Go and Get study material. If you wish to share a copy of the same with others, let us know with details. Just email at spelling.india@gmail.com. All who contact us to get it from parents like you, will be informed about your contacts. Rest is between the 'two'. Our role is to enable such parents to get connected, and in no manner beyond that. "How you Share" is your sole / independent decision. You may choose to share with as many wanting parents as you wish at your terms. Option 2 : Do not Pay for Orientation ... Do not Go but Get study material. If you still wish to get study material from someone who wishes to share, let us know with details (along with proof of your child's selection to the concerned level). Just email at spelling.india@gmail.com. All who contact us to share it with parents like you, will be informed about your contacts. Rest is between the 'two'. Our role is to enable such parents to get connected and nothing beyond that. "How you Get-It" is your sole / independent decision. Note : This 'Orientation Pool' service is free. We only wish to get interested parents together and nothing else. We will not wish to or be involved / responsible in any manner, in all communication or understanding or financial transaction etc between the 'two'. We may regret this service to certain individuals, at our sole discretion. 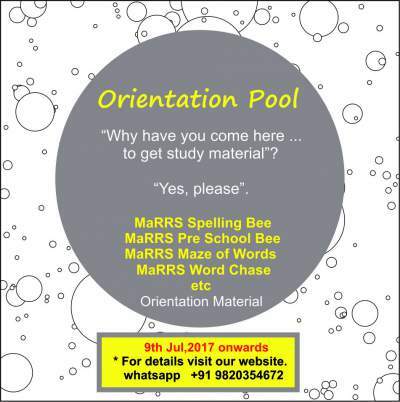 Over to you ... your choice to be part of the "Orientation Pool" ... starting 9th July, 2017. 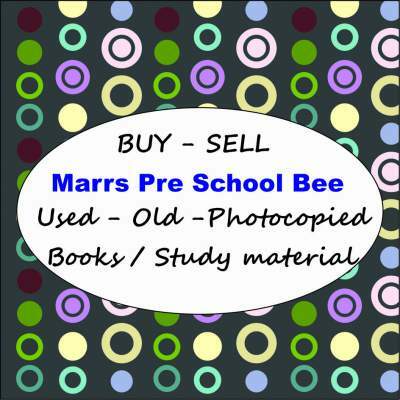 All old / used books and notes can now be made available for purchase by others. 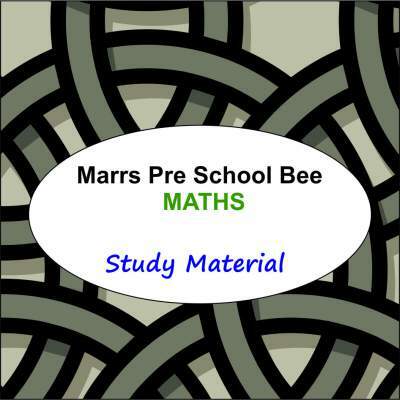 These can be study material published by the organisers of the Marrs competition or of Phonics eStore sold at amazon. 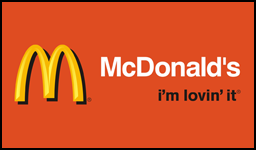 Click on image below to proceed ... to 'Buy - Sell' now. For any suggestion / query feel free to write to us. Real life videos ... Just feel it ... and Start preparing your child Now!